Paris (AFP) - Calls for French Jews to leave their skullcaps at home in the wake of a jihadist attack on a kippa-wearing teacher sparked an emotional debate Wednesday pitting security concerns against a desire to uphold Jewish identity. Parents in the southern city of Marseille, where Monday's vicious attack "in the name of Allah" added to a string of anti-Semitic incidents in recent months, have begun urging their sons to wear a baseball cap instead. The city's top Jewish leader, Zvi Ammar, had on Tuesday called on Jewish men and boys to stop wearing the kippa "until better days", saying: "Unfortunately for us, we are targeted. As soon as we are identified as Jewish we can be assaulted and even risk death." Chillingly, Monday's teenaged assailant, a self-radicalised ethnic Kurd from Turkey, reportedly told police he was "ashamed" that he did not manage to kill his 35-year-old victim, Benjamin Amsellem. 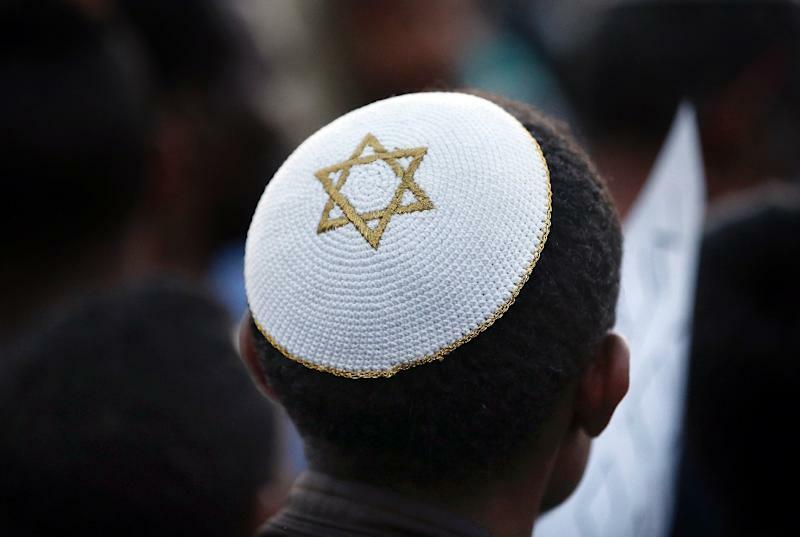 On Wednesday, government spokesman Stephane Le Foll declined to voice an opinion on the kippa, saying it was a "debate that originated within the Jewish community". He stressed however that the state's role is to "provide protection and to denounce anti-Semitic acts." Anti-Semitism "unfortunately has gone on for too long and has taken new forms today", he added on French television. But several ministers and other politicians spoke out on the issue, with Education Minister Najat Vallaud-Belkacem voicing surprise over Ammar's urging, saying: "It's certainly not the advice I would give, personally." Ammar "clearly was well-intentioned, but it's not the sort of message to send, certainly not now," Vallaud-Belkacem told French radio. Brice Hortefeux of the centre-right Republicans party agreed with France's chief rabbi Haim Korsiathat that "giving up (the kippa) is giving in". But he said it was impossible "not to modify your behaviour in the face of these unspeakable acts." On Tuesday, top national Jewish leaders rejected the call to shun the kippa, decrying a "defeatist attitude" and an offence to the community's identity. Korsithat reacted quickly late Tuesday, acknowledging that Ammar's call came from an "understandable emotion", but insisting: "We should not give an inch." Joel Mergui, president of France's Israelite Central Consistory, said: "If we have to give up wearing any distinctive sign of our identity, it clearly would raise the question of our future in France." 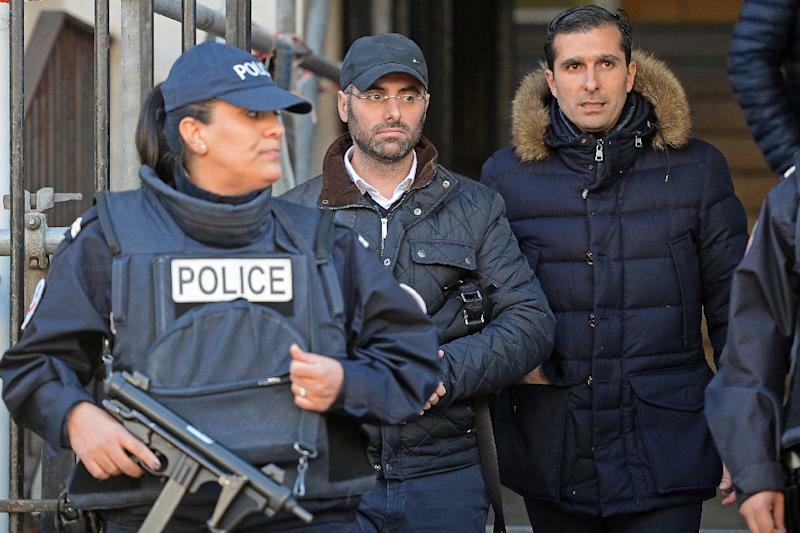 Anti-Semitic acts in France have soared in recent years, increasing by 84 percent in the period between January 2015 and May 2015 compared to a year earlier, according to official statistics. As a result, emigration from France to Israel has spiked, with a record 7,900 people leaving last year. Monday's assault came just days after France marked a year since the attacks that left 17 people dead, including four gunned down in a Jewish supermarket. It was just four days after a jihadist attack on a police station in Paris, one year to the day since the massacre at the satirical weekly Charlie Hebdo. Marseille is particularly on edge following assaults on three Jews in October, one by a drunken assailant with a knife near a synagogue. In November, another Jewish teacher was stabbed by people shouting anti-Semitic obscenities and support for the Islamic State group. 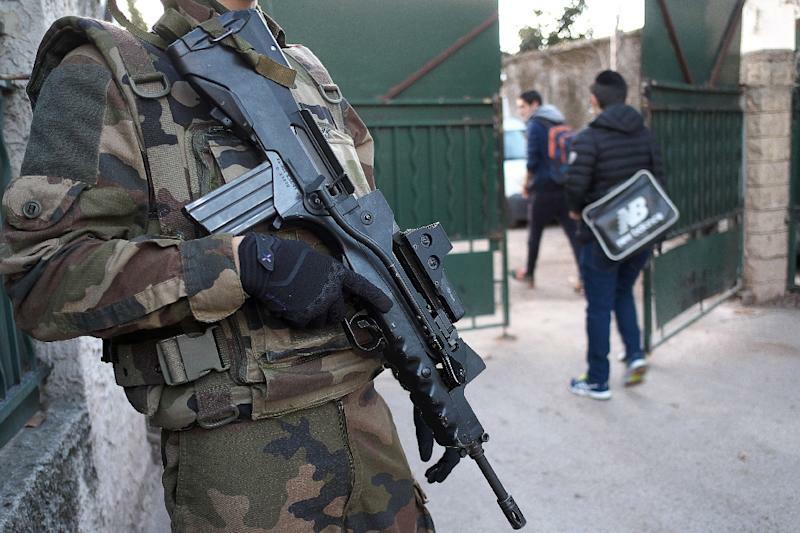 "When I drop my children off at school, I have a pit in my stomach," a 43-year-old Jewish mother said in Marseille, adding that she had asked her 14-year-old son to take off his kippa. Marseille, a city of more than 850,000 people, has France's second largest Jewish community with some 70,000 residents, and one of the country's largest Muslim populations, estimated at 220,000. France's overall Jewish community is estimated at between 500,000 and 600,000 people, the largest in Europe and one of the largest in the world.